Internet download speeds may have increased over the years, but every web designer should still create fast loading web sites. You might have a stunning design but very few people will see it if it takes forever to load. Many online researches indicate that web surfers have very low tolerance for slow loading websites. Some studies even show that site visitors leave if the page does not load in about three seconds. Keep images to a minimum – the bulk of any online page is composed of the images. The key to a fast loading web site is to keep images to a minimum. Yes, images enhance the overall look of a site. But using huge images slows a page down. Instead, break images down to simple HTML. Notice the popular sites like Yahoo, Google, Ebay, Amazon etc., they have very few images because the load time is more important. Use background images instead of big images whenever possible - Use background images whenever possible. This is usually a very useful tip for headers and footers. Instead of using an image of width 580 which is a uniform design you can use just a part of that as a background fill. This reduces the size of the web page as the image is small. Keep checking your load time - Last but not least, before you decide on the final design of your website, check its load time. There are a lot of sites out there that give you a free analysis of your web site which is extremely useful. 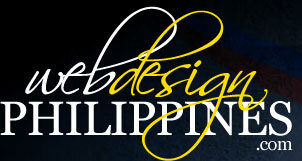 Get examples of fast loading yet engaging website design at WebToGo Philippines.